Bespoke, future-proofed mezzanine floors to maximise efficiency and space. Our bespoke warehouse mezzanine flooring provides you with additional floor levels quickly and economically. Whether you are looking to expand or optimise your storage facilities, our mezzanine flooring options represent an effective, economical choice. For over 25 years we've delivered cost-effective, high-quality structural steel platforms, warehouse mezzanine deck and ancillary products. During this time, we have erected mezzanine systems for clients in a variety of industries, who were seeking to expand their storage, warehousing & distribution capacity and maximise operational efficiency, without the cost or disruption of relocation. 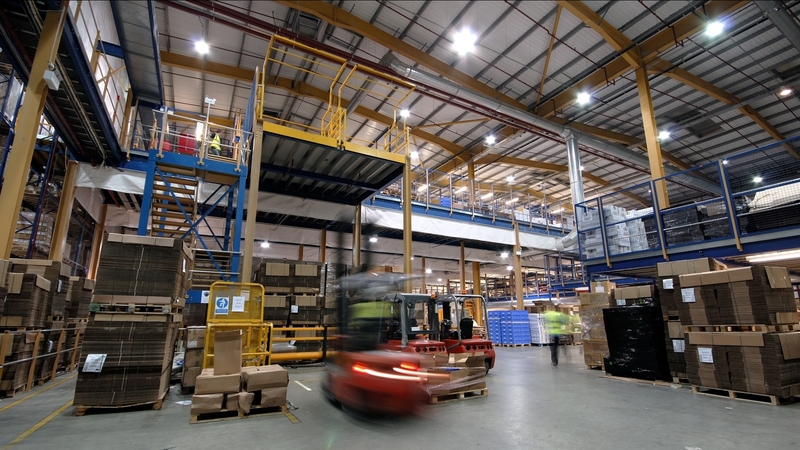 Our multi-tier mezzanine installations have been erected in some of the largest facilities in Europe. With that insight and experience, we have earned a reputation for making commercially-sound recommendations to our clients on the most efficient way to achieve their brief. From as early as the design stage, we ensure your mezzanine warehouse project is completed on time in the most economical way. These additional extras are designed to fit your environment. We achieve this using our competitive, entirely CE marked 'execution class 2' accredited supply chain. All our mezzanine flooring systems also fully comply with all safety and building regulations and standards. To find out more about our storage, warehouse & distribution industry credentials take a look at our case studies, located on the Home Page. "BITO only has a handful of partners, and Mezzanine International is one of them."